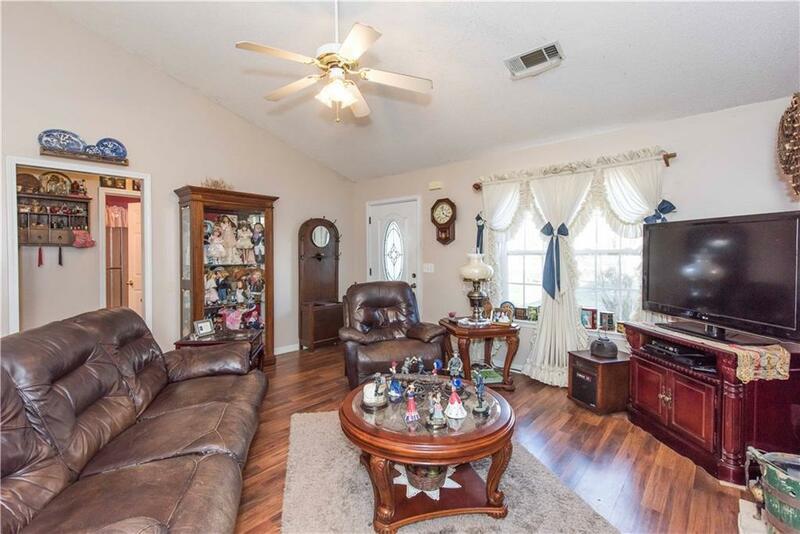 Country ranch living & close to town/shopping. 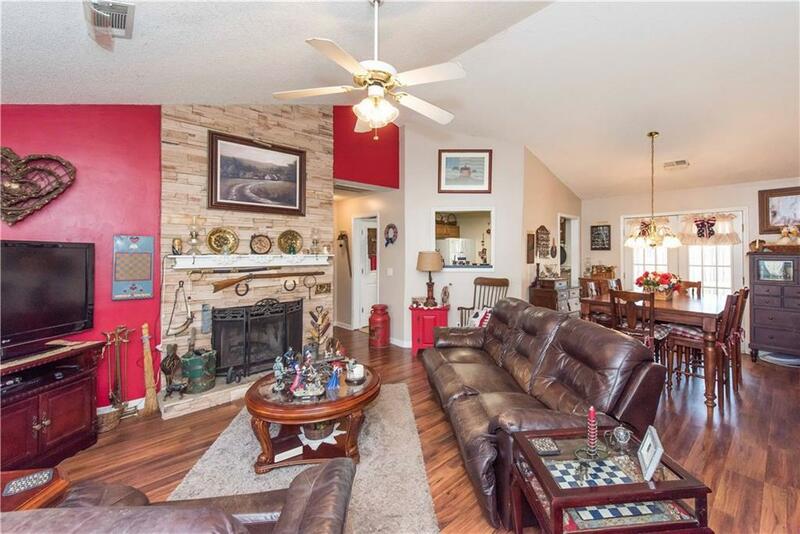 This adorable home features a floor to ceiling stack stone fireplace in family/dining room area. A bright & cheerful kitchen awaits your culinary skills w/ample counter & cabinet space. 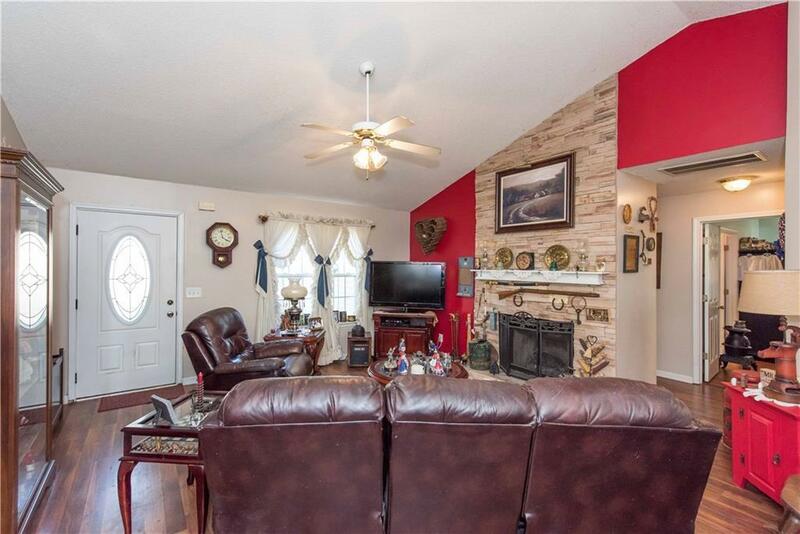 Private master bedroom & bath retreat area features trey ceiling, garden tub, separate shower, & walk in closet. 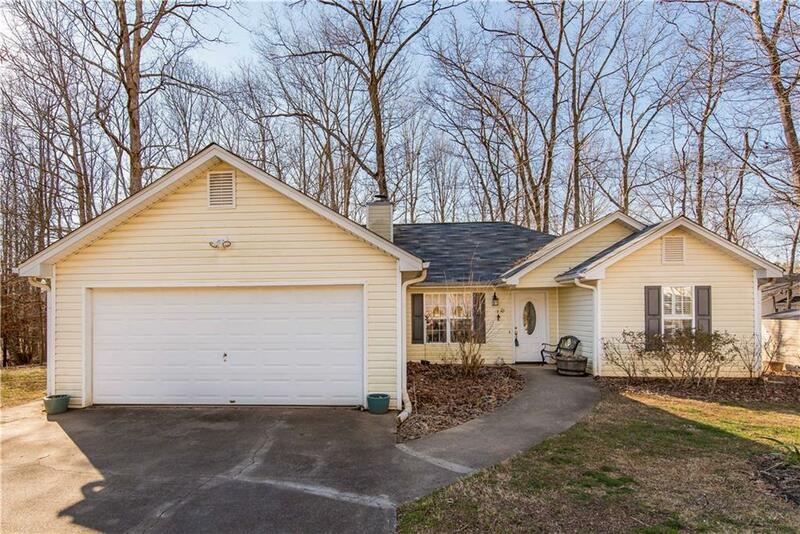 Your back porch is a wonderful way to enjoy the morning while sipping your coffee & overlooking the wooded 1/2 lot. A mudroom leads out to the garage that boast plenty of storage. A true pride of ownership & must see. Won't last!